Nominated for a 2011 Oscar for Best Documentary Feature. Filmmaker Josh Fox grew up in the verdant woods of the Delaware River valley. In 2009, he learned his land was on top of the Marcellus Shale—a giant reservoir of natural gas that stretches across the Appalachians—and that he would be paid to lease his land for natural gas extraction. 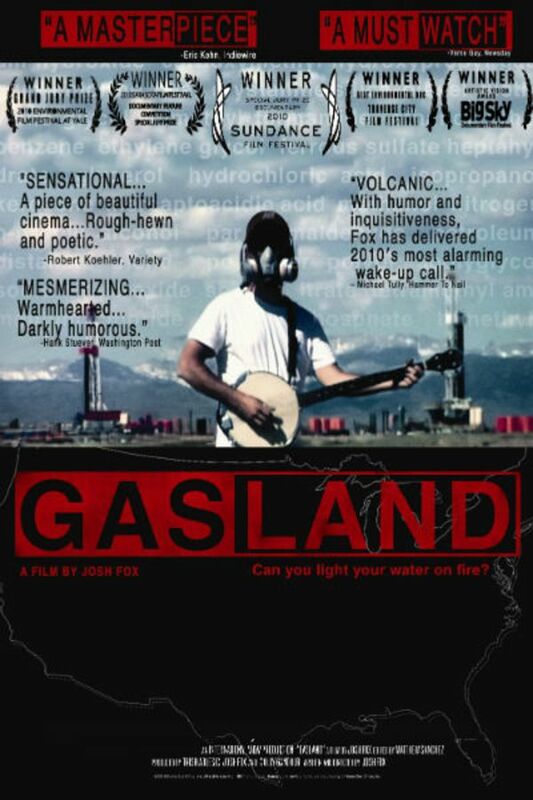 Part mystery, part travelogue, and part banjo showdown, GASLAND documents Josh’s cross-country odyssey to find out if the controversial process of hydraulic fracturing—or fracking—is actually safe. The gas in the water was a proven hoax. Injecting sand and water 2 miles below the ground could never cause water sands at the surface to produce gas. If the 50’ water sands had gas then you could get rich off a cheap gas well. The Marcellus wells are highly engineered and cost 10 million each plus lease price equaling 5 million more each. If someone knows of a fresh water sand making gas I’ll buy it now. Hearing these stories right from the people who have lived them was powerful. It's heartbreaking to see how the gas industry and even lo=cal and federal politicians have treated these victims of water contamination. incredibly persuasive- exceptionally well-told story of the pressing need to save ourselves and future generations from the negative consequences of our dependence on fossil fuels. A massive need that can only be allowed to be satisfied with a total recreation of all practices and policies.